As we age, the delicate skin around the eyes can appear puffy or saggy. Eyelid skin stretches, muscles weaken, and the normal deposits of protective fat around the eye bulge. Heavy eyelids can make a person appear tired, sleepy, or prematurely aged. Cosmetic eyelid surgery is an increasingly popular choice for people who wish to improve their appearance and first impression. The surgical procedure to remove excess eyelid tissues (skin, muscle, or fat) is called blepharoplasty. Blepharoplasty can be performed on upper or lower eyelids for functional or cosmetic reasons. Over time, the brow can begin to droop due to gravitational reasons or due to laxity of the tissues. This may cause the eyebrows to rest lower than their normal position and therefore the brows may obstruct the superior visual field. Drooping of the brow may also give a heavy feeling to the eyelids or may create an appearance of being tired or angry. A brow lift can help to correct drooping of the eyebrows and can easily be combined with a blepharoplasty procedure for coexistent excess eyelid skin. As we age, gravity and sun rays can play a part in changing our own unique appearance and beauty. One way this is done is by damaging the collagen and elastic fibers of the skin, causing the soft tissues of our face to sag and deflate. Fillers are able to replace lost volume and restore youthful fullness to the face. Some fillers may also stimulate collagen production to further restore volume. 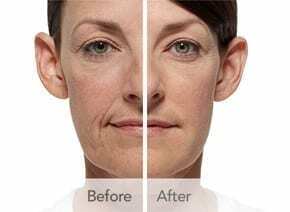 Fillers are commonly injected into the cheeks, lips, folds around the nose and mouth, and along the jawline in order to improve wrinkles, facial lines, and sagging. 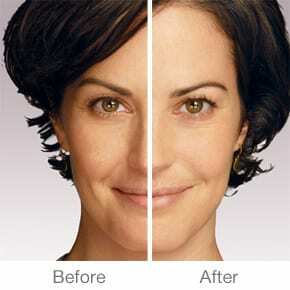 Two of the more common fillers are RADIESSE® and JUVEDERM®. RADIESSE® wrinkle filler instantly corrects wrinkles with results that may last a year or more in many patients. Stimulating the body’s own natural collagen production is one of the ways that RADIESSE® is able to replace youthful volume to the face. By mixing RADIESSE® wrinkle filler with lidocaine, enhanced patient comfort is also possible. 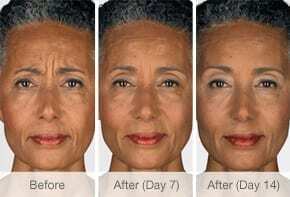 For more information about RADIESSE® wrinkle filler, please visit www.radiesse.com. JUVEDERM® injectable gel is a hyaluronic acid dermal filler that also instantly corrects wrinkles and may last up to a year. Sunlight and other factors can reduce the amount of hyaluronic acid in our skin. As a result, our skin may lose structure and volume, thus producing unwanted facial wrinkles and folds. JUVEDERM® replaces the hyaluronic acid that our skin has lost, reducing the appearance of wrinkles and folds. For more information about JUVEDERM® injectable gel, please visit www.juvederm.com. Over time, overactive facial muscles can create wrinkle lines on our faces. Typically, these “lines of facial expression” are most noticeable in the outer eyelid area (“crow’s feet”), along the forehead, and in the area between the eyebrows known as the glabellar area (“frown lines”). You may feel that these lines make you look tired or unapproachable , or you may simply feel that the wrinkles project an image that you do not desire. BOTOX® Cosmetic can be injected directly into the overactive muscles, causing them to temporarily relax, thus improving the look of wrinkles. BOTOX® Cosmetic works by blocking nerve impulses to the injected muscles. By reducing the muscle activity and decreasing the repetitive movements of the muscles, the wrinkle lines can be softened. For more information on BOTOX® Cosmetic, please visit www.botoxcosmetic.com. LATISSE® is the first and only FDA-approved prescription treatment for inadequate or not enough eyelashes. 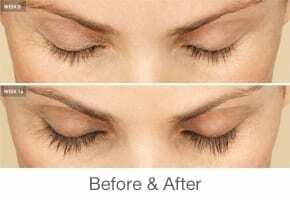 By applying LATISSE® to the base of the upper eyelashes once a day, lashes are able to grow longer, fuller, and darker. Your eyecare provider will be able to discuss whether LATISSE® is right for you. For more information on LATISSE®, please visit www.latisse.com.